Zenon's dress is inspired by traditional Japanese paintings. 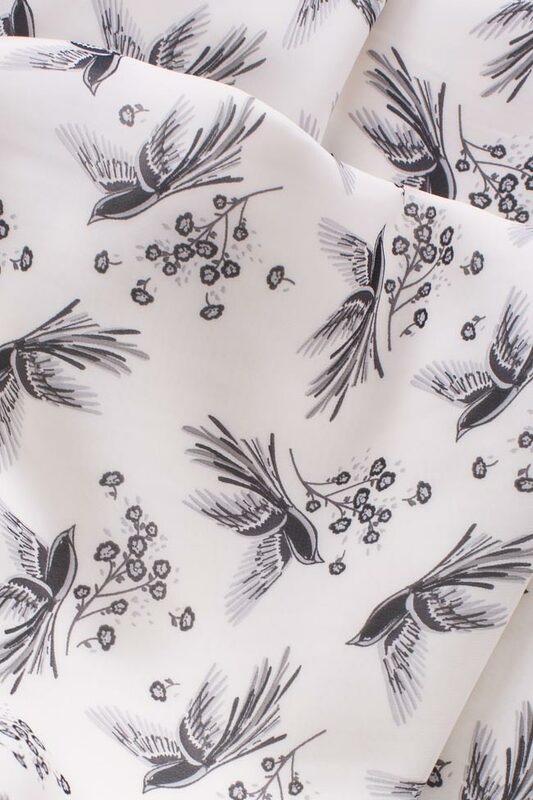 This floor-grazing piece is beautifully draped from silk-blend and printed with swallos birds. It has a plunging neckline and sheer tulle panels at the side, so we suggest underpinning it with a self-adhesive bra. Material: 20% silk, 80% viscose.